According to Le Monde, the fire that ravaged Notre Dame is now mercifully under control. Two thirds of the roof--and that beautiful spire--have been badly damaged. The same likely goes for some precious stained glass. But the two towers still stand tall. And the structure of the cathedral has been "saved and preserved overall," reports the commander of Paris' firefighting brigade. 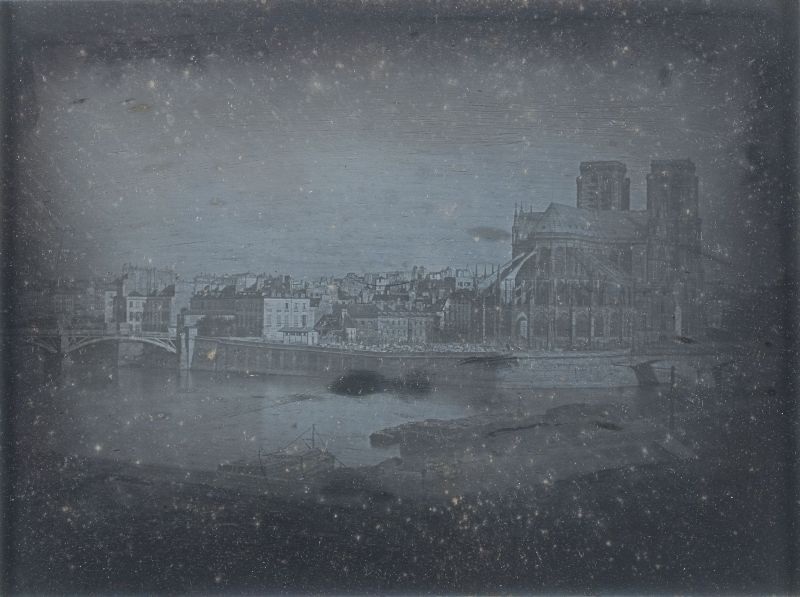 The photo above, taken by Louis Daguerre in 1838, helps pay visual tribute to Emmanuel Macron's words tonight, “This history is ours... I say to you very solemnly, this cathedral, we will rebuild it.” Godspeed.